My life was in hectic mess since last week, rushing for one place to another, attending events and classes, trying to complete my school assignments while juggling two part-time jobs, I was having difficulty finding space for myself. 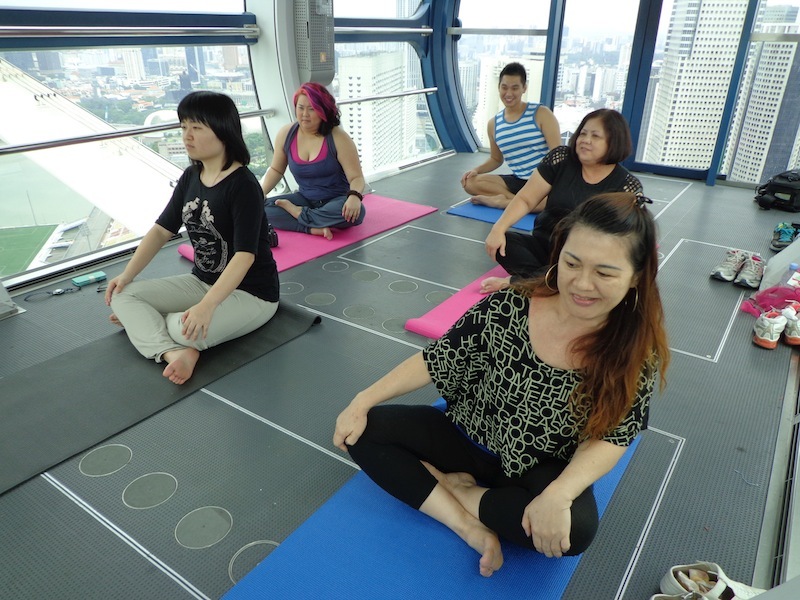 Hence, I jumped the opportunity when Singapore Flyer invited us for Workout in the Sky last Wednesday – yoga is actually what I need to calm my spirit and find my inner peace. Despite the massive crowd in the MRT and the early morning downpour, we managed to arrive before 9.30 am to board the capsule for this once in a lifetime experience. 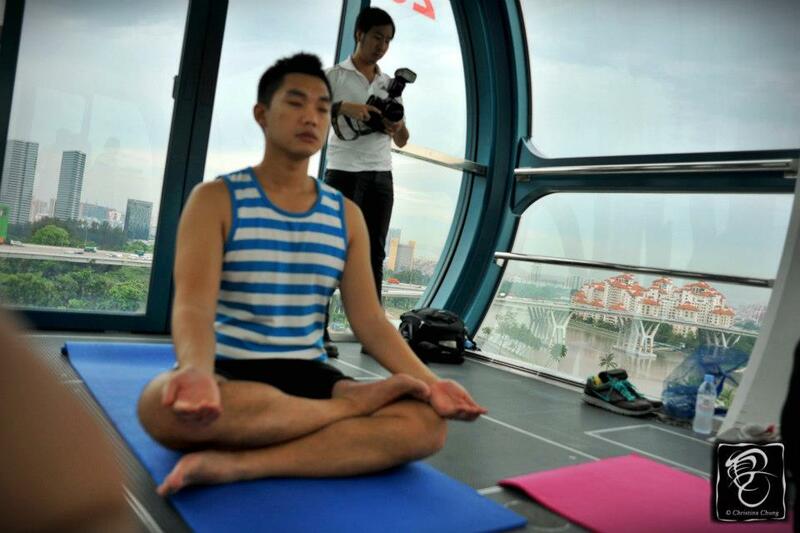 After all, it’s not everyday that we get to do yoga at 165-metre above the ground! 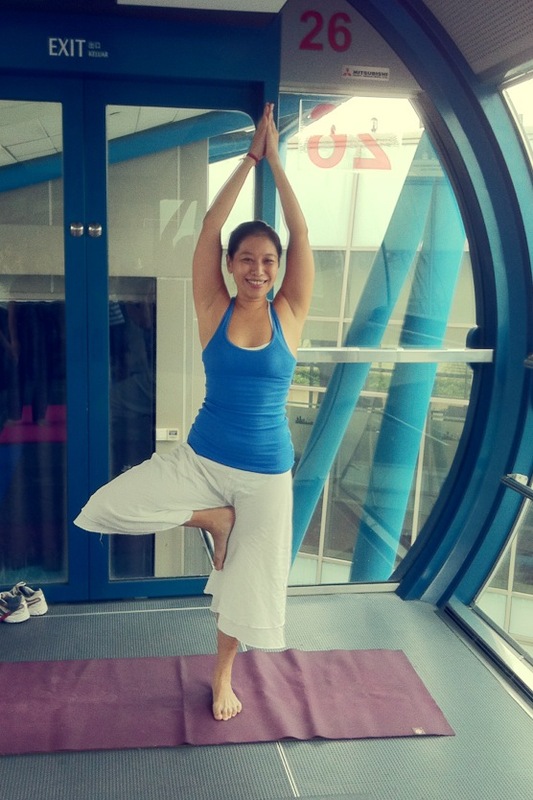 In celebration of Mother’s Day, Singapore Flyer will be hosting an hour long workshop – “Workout in the Sky”over the weekend on 11-12 May as part of Mind Body Spirit Festival 2013. With classes led by yoga, pilates and fitness instructors, this unique and memorable experience will etch unforgettable memory for not just the mothers but for everyone to enjoy. “I am proud that Singapore Flyer can play a significant role in this celebration. Mothers are unique individuals that often give more than they take. Come May, we hope to show our appreciation to them by offering an equally unique experience that they will remember. The ‘Workout In The Sky’ is also very much aligned to our commitment towards finding new ways to engage and surprise our customers,” said Singapore Flyer’s CEO Patsy Ong. The Mind Body Spirit Festival is an ideal opportunity for families to experience something truly unique and unforgettable. Festival goers will also enjoy fantastic activities on the ground. Apart from the exclusive “Workout In The Sky”, additional health and fitness workshops will be conducted within the Singapore Flyer complex on both days from 8.30am-8pm. The Mind Body Spirit Fair will be open on both days during the event and will boast 40 booths featuring wellness products and services. Participants can look forward to performances of yoga stunts, dances, capoeira and live music at the Greek Theatre. Flowers will also be given to moms who will come attend the 12 May workshops.Registration for the workshops closes on the 8 May. Tickets entitles participants complimentary entry to the Mind Body Sprit Festival at West Promenade, as well as performances at the Greek theatre. 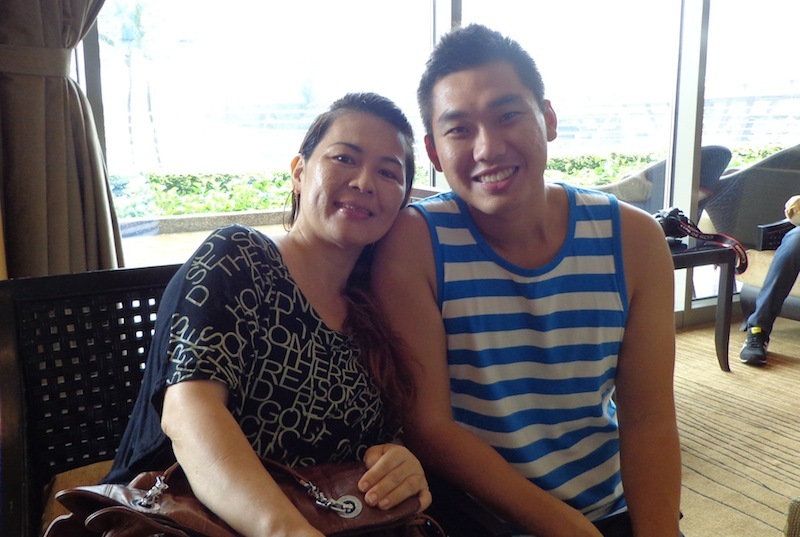 To celebrate Mother’s Day, Singapore Flyer has also launched a Facebook contest calling upon the public to put in a dedication to their moms and upload their pictures together for a chance to win attractive prizes. Every submission will also entitle customers with a promotion code that gives a 50% discount off High Tea flights during the month of May. Closing date for entries is this Thursday, 9 May 2013. Winners will be selected and announced by this Friday, 10 May 2013. This entry was posted in Events, Health and Fitness, Singapore and tagged fitness, health, huneyz world, mental-health, mind body spirit, mind body spirit festival, singapore flyer, special event, workout in the sky, yoga, yoga workshop. Bookmark the permalink. Huney your friend eh .. Yes! She regularly appears on my blog.